UFC president Dana White says Stipe Miocic could be next in line for a heavyweight title fight with Daniel Cormier if Brock Lesnar does not return to MMA competition. 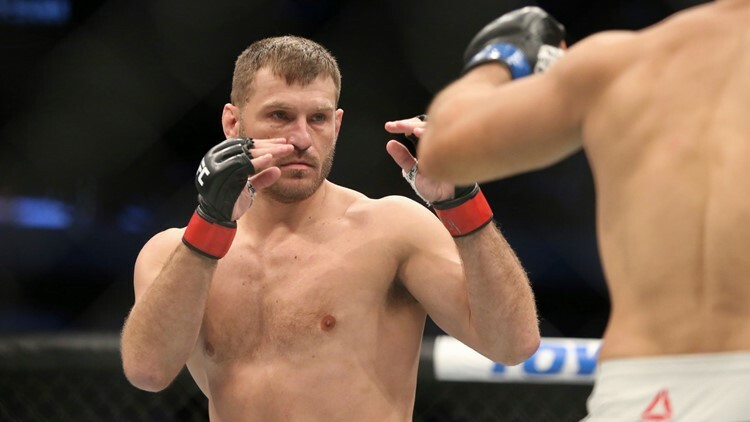 CLEVELAND — Since losing the UFC heavyweight championship to Daniel Cormier last July, Cleveland’s Stipe Miocic has been pining for a rematch, but to this point, no return bout has been scheduled…at least not yet. Asked about the state of the heavyweight division at a press conference prior to UFC 236 in Atlanta Saturday, president Dana White said a bout between Cormier and Miocic could come to fruition should Brock Lesnar remain retired from MMA competition. 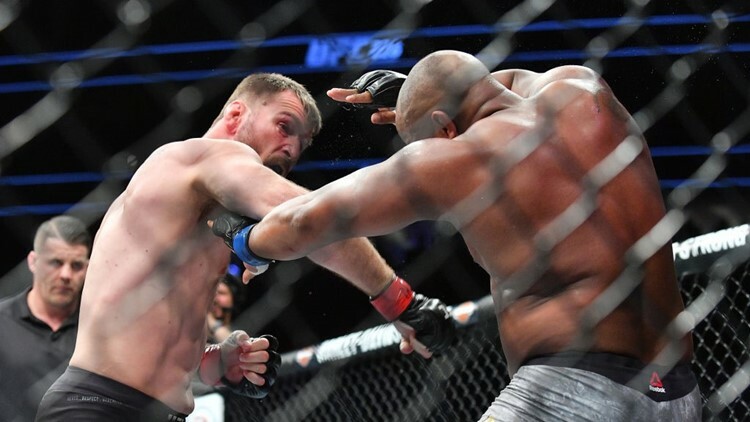 Stipe Miocic (left) throws a punch against Daniel Cormier during their heavyweight championship fight at T-Mobile Arena in Las Vegas, Nevada on July 7, 2018. Cormier has been angling for a fight with Lesnar since moments after becoming the heavyweight champion in the main event of UFC 226 at T-Mobile Arena in Las Vegas last summer, and made that point emphatically when talking with TMZ. While waiting for the Lesnar fight to come to fruition, Cormier has received a healthy amount of criticism on social media for denying Miocic a rematch. Cormier’s comments came just over a month after he left open the possibility of giving Miocic a rematch should a potential super-fight with Lesnar, the former UFC heavyweight champion and WWE Universal Champion, not materialize. “You know, Stipe’s done so much for the heavyweight division,” UFC light-heavyweight champion Jon Jones said prior to his title bout against Anthony Smith last month.